We are delighted to announce our partnership with Brightspace Gallery in St Kilda, who are hosting an exhibition of Diaz works taken in the Port Philip area; Maggie’s home for over five decades. Brightspace has also attracted a generous sponsor, Guilty Films, for the launch of a photographic prize in Maggie’s honour. We are seeking entries from women of all ages, backgrounds and career levels. 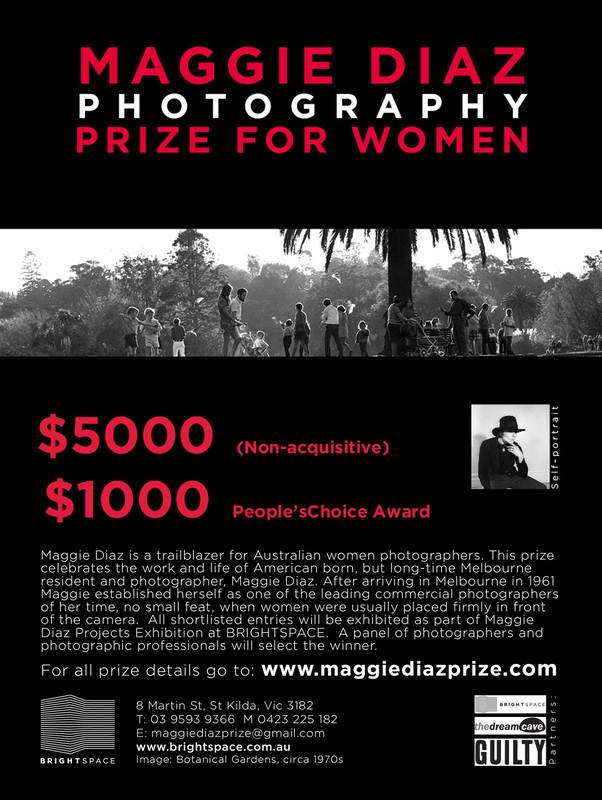 Entrants should use available light and the winner will be announced at the opening of Maggie Diaz Projects – 3 Sept 2015. See link below for further details!